Oak Valley Cemetery, Miguel, Texas, also known as San Miguel Cemetery. Other Names*: Elizabeth Naudain, Elizabeth Aldine Naudain Starr, Elizabeth Alline Naudain, Elizabeth Alline Naudain Starr, Elizabeth Naudain Starr, Elizabeth Aldine Star, Elizabeth Alline Starr, Elizabeth Starr. Note*: • A family history spells her middle name as Adline, but her Find A Grave memorial spells it as Alline. [S1] Ruth Bennett, Naudain Family of Delaware (Geneva, Neb. : n.pub., 1941), pp.66, 86 (naming James Nelson Naudain as her father). This material is a typescript of "notes" in Ms. Bennett's possession and apparently was originally written and compiled by James W. Lattomus. Copies are with the D.A.R. Library, Washington, D.C., and Roger Bartlett, Austin, Tex., and can be viewed at http://www.rabgenealogy.com/ui53.htm. The notes contain some inconsistencies, and page 45 was missing from the D.A.R. Library copy when it was copied. [S527] Naudain Family Record, (naming James N. Naudain as her father). These four loose pages are believed to have been copied from a bible of James Nelson Naudain and Ellen Grose Naudain. Apparently the copy was first made by Ellen Loop Garner, who referred to it as "grandfather's family record." Kellie Loop provided a copy of it to Roger Bartlett in 1974. [S1] Ruth Bennett, Naudain Family of Delaware, above, pp. 66 (giving the date but not the place), 86 (giving the date and place). [S527] Naudain Family Record, above, (giving only the month and year and not naming the place; the page is torn so that the day of the month is missing). [S1212] Miguel (Tex.) Cemetery, online http://www.txgenweb7.org/txfrio/miguel_cem.htm, viewed on 27 Jun 2011 (giving the date but no other information). [S961] Find A Grave, online, above, memorial for Elizabeth Alline Naudain Starr, memorial no. 15680644, viewed on 26 Jul 2018. [S1] Ruth Bennett, Naudain Family of Delaware, above, pp. 86 (giving only the month and year and not giving the place), 87 (stating that they married in Coryell County, Texas after his first wife died in 1871). [S1] Ruth Bennett, Naudain Family of Delaware, above, p. 86 (not giving the date or place). [S1212] Miguel (Tex.) Cemetery, online, above, viewed on 27 Jun 2011 (giving the date but not the place). [S1212] Miguel (Tex.) Cemetery, online, above, viewed on 27 Jun 2011. [S1] Ruth Bennett, Naudain Family of Delaware, above, pp. 86, 87 (spelling her middle name as Adline) (first bullet). [S961] Find A Grave, online, above, memorial for Elizabeth Alline Naudain Starr, memorial no. 15680644, viewed on 26 Jul 2018 (spelling her middle name as Alline) (first bullet). [S1] Ruth Bennett, Naudain Family of Delaware, above, pp. 86, 87 (second bullet). [S1] Ruth Bennett, Naudain Family of Delaware, above, p. 86 (naming Elizabeth Adline Naudain as her mother). [S1] Ruth Bennett, Naudain Family of Delaware, above, p. 86 (naming Elizabeth Adline Naudain as his mother). [S961] Find A Grave, online, above, memorial for James Monroe Starr, memorial no. 14188400, viewed on 26 Jul 2018 (naming Elizabeth Alline Naudain Starr as his mother). [S1] Ruth Bennett, Naudain Family of Delaware (Geneva, Neb. : n.pub., 1941), pp. 18, 39. This material is a typescript of "notes" in Ms. Bennett's possession and apparently was originally written and compiled by James W. Lattomus. Copies are with the D.A.R. Library, Washington, D.C., and Roger Bartlett, Austin, Tex., and can be viewed at http://www.rabgenealogy.com/ui53.htm. The notes contain some inconsistencies, and page 45 was missing from the D.A.R. Library copy when it was copied. [S111] Supposition as to date, based on first child's birth date. [S527] Naudain Family Record, (stating that Elias Naudain was the brother of James N. Naudain). These four loose pages are believed to have been copied from a bible of James Nelson Naudain and Ellen Grose Naudain. Apparently the copy was first made by Ellen Loop Garner, who referred to it as "grandfather's family record." Kellie Loop provided a copy of it to Roger Bartlett in 1974. Marriage*: He married Martha Eliason, daughter of John Eliason and Mary Davis, on 20 January 1824. Note*: He was born near Fieldsboro, Delaware and farmed in Appoquinimink Hundred until 1836, when the family moved to Hillsboro, Highland County, Ohio. Son Corbit's account appears at pages 65-66 of Ruth Bennett's Naudain Family of Delaware: "In 1836, our father, who then lived in a little hipped roof house that stood nearly opposite to the entrance to the land that led down to Bishop Scott's house, put his family, consisting of himself, my mother and two children, into a wagon, that in after years and in the far West would have been called a 'Prairie Schooner', and started for what was then, indeed, the far West, Hamilton, Ohio, where mother had relatives. When they reached Hillsboro, fifty or sixty miles short of their destination, as the crow flies, mother's health became such that going farther seemed impossible. Father went to work at once on a farm for alan Trimble. Before the summer was over, he was persuaded to buy a little farm about seven miles away, where he went to work to hew himself out a home in what was literally and truly the big timber country of Southern Ohio. There we were all born, excepting the two born in Delaware, and there he ended his days. Things there were very primitive. I have reason to think he was much respected. While I was only eight years old when he passed away, still I can recollect that he had a class in Sunday School, was sometimes class leader and was a visitor to our Day School; hence, I conclude, a Director." He was a Whig and a member of the Methodist Episcopal Church. She died two days after his death. [S1] Ruth Bennett, Naudain Family of Delaware (Geneva, Neb. : n.pub., 1941), pp. 40, 65-66. This material is a typescript of "notes" in Ms. Bennett's possession and apparently was originally written and compiled by James W. Lattomus. Copies are with the D.A.R. Library, Washington, D.C., and Roger Bartlett, Austin, Tex., and can be viewed at http://www.rabgenealogy.com/ui53.htm. The notes contain some inconsistencies, and page 45 was missing from the D.A.R. Library copy when it was copied. [S527] Naudain Family Record, above, (stating that he died on 29 Aug 1855 at age fifty-three years, ten months, two days and not naming his birthplace). [S527] Naudain Family Record, above, (giving only the date and stating that he died on 29 Aug 1855 at age fifty-three years, ten months, two days). [S961] Find A Grave, online at http://www.findagrave.com, memorial for Elias Naudain, memorial no. 100670735, viewed on 28 Apr 2014 (stating that he died in Aug 1855 without any other information). [S1] Ruth Bennett, Naudain Family of Delaware, above, p. 66. [S961] Find A Grave, online, above, memorial for Elias Naudain, memorial no. 100670735, viewed on 28 Apr 2014. [S1340] The Morning News, Wilmington, Del., online at http://www.newspapers.com, 15 Oct 1902, p. 1, col. 3 (obituary of George W. W. Naudain) (naming Elias Naudain as his father). [S1] Ruth Bennett, Naudain Family of Delaware, above, p. 101 (naming Elias Naudain as her father). [S1] Ruth Bennett, Naudain Family of Delaware, above, p. 65 (naming Elias Naudain as his father). Marriage*: She married Elias Naudain, son of John Elias Naudain and Catherine Baker, on 20 January 1824. Other Names*: Martha Eliason Naudain, Martha Naudain. [S961] Find A Grave, online at http://www.findagrave.com, memorial for Martha Naudain, memorial no. 100670736, viewed on 28 Apr 2014 (not giving the date or place but stating that she was 49 years, 5 months, and 29 days old when she died on 31 Aug 1855). [S961] Find A Grave, online, above, memorial for Martha Naudain, memorial no. 100670736, viewed on 28 Apr 2014 (giving the date but not the place). [S961] Find A Grave, online, above, memorial for Martha Naudain, memorial no. 100670736, viewed on 28 Apr 2014. [S1340] The Morning News, Wilmington, Del., online at http://www.newspapers.com, 15 Oct 1902, p. 1, col. 3 (obituary of George W. W. Naudain) (naming Martha _____ as his mother). [S1] Ruth Bennett, Naudain Family of Delaware, above, p. 65 (naming Martha Eliason as his mother). Birth*: He was born in November 1845. Death*: He died in 1849. [S1] Ruth Bennett, Naudain Family of Delaware (Geneva, Neb. : n.pub., 1941), pp. 67, 87. This material is a typescript of "notes" in Ms. Bennett's possession and apparently was originally written and compiled by James W. Lattomus. Copies are with the D.A.R. Library, Washington, D.C., and Roger Bartlett, Austin, Tex., and can be viewed at http://www.rabgenealogy.com/ui53.htm. The notes contain some inconsistencies, and page 45 was missing from the D.A.R. Library copy when it was copied. [S1506] The Chicago Daily Tribune, Chicago, Ill., online at http://www.newspapers.com, 4 Jan 1874, p. 11, col. 5 (under "Marriages") (giving her name as Florence A. Gage and his as Harry Naudain). [S1] Ruth Bennett, Naudain Family of Delaware, above, p. 87 (giving the date as 24 Dec 1873 and not naming the place). [S961] Find A Grave, online at http://www.findagrave.com, memorial for Florence Gage Naudain, memorial no. 125846410, viewed on 2 Jul 2016 (not giving the date or place). [S1] Ruth Bennett, Naudain Family of Delaware, above, p. 87 (naming Harold Naudain as her father). [S1] Ruth Bennett, Naudain Family of Delaware, above, pp. 87, 98 (naming Harold Naudain as his father). [S1] Ruth Bennett, Naudain Family of Delaware, above, p. 87 (naming Harold Naudain as his father). [S1349] Saint Louis Post-Dispatch, Saint Louis, Mo., above, 21 Oct 1892, p. 6, col. 5 (naming Harold Naudain as his father). Marriage*: She married George Washington Swearingen. Marriage*: She married Duncan Campbell Bennett. Birth*: She was born on 15 August 1827 in New Castle County, Delaware (near Fieldsboro). Death*: She died on 30 July 1898 at age 70. Note*: She had at least twelve children and in 1897 was residing in Butler County, Ohio. [S1] Ruth Bennett, Naudain Family of Delaware (Geneva, Neb. : n.pub., 1941), pp. 65-66, 81. This material is a typescript of "notes" in Ms. Bennett's possession and apparently was originally written and compiled by James W. Lattomus. Copies are with the D.A.R. Library, Washington, D.C., and Roger Bartlett, Austin, Tex., and can be viewed at http://www.rabgenealogy.com/ui53.htm. The notes contain some inconsistencies, and page 45 was missing from the D.A.R. Library copy when it was copied. Marriage*: He married Mary Catherine Naudain, daughter of Elias Naudain and Martha Eliason. Death*: He died in 1863 in an army hospital, near Frederick, Frederick County, Maryland. Note*: He died of a fever in an army hospital near the end of his nine-month enlistment in the Union Army during the Civil War. Birth*: He was born in March 1807. Death*: He died in 1884. Other Names*: Robert Naudain, R. M. Naudain. "Robert M. Naudain Dies at Home Hospital Sunday. [S961] Find A Grave, online at http://www.findagrave.com, memorial for R M Naudain, memorial no. 96012504, viewed on 7 Aug 2016 (giving the date but not the place). [S1400] Evening Times-Republican, Marshalltown, Iowa, online at http://www.newspapers.com, 12 Aug 1918, p. 6, col. 4 (obituary for Robert M. Naudain) (stating that he was born on 22 Nov 1835 in Trent County, Delaware, but it does not appear that a county by that name ever existed in Delaware). [S1] Ruth Bennett, Naudain Family of Delaware, above, p. 81. [S1400] Evening Times-Republican, Marshalltown, Iowa, above, 12 Aug 1918, p. 6, col. 4 (obituary for Robert M. Naudain) (stating that he died at 8:20 p.m. "of arterial sclerosis"). [S961] Find A Grave, online, above, memorial for R M Naudain, memorial no. 96012504, viewed on 7 Aug 2016. [S1400] Evening Times-Republican, Marshalltown, Iowa, above, 12 Aug 1918, p. 6, col. 4. [S735] Jasper Co., Iowa, Civil War enlistments, 40th Infantry, online ftp://ftp.rootsweb.com/pub/usgenweb/ia/jasper/military/40th-inf.txt, attributing information to "1878 History of Jasper County, Iowa", (giving information about his Civil War enlistment). [S1] Ruth Bennett, Naudain Family of Delaware, above, p. 97 (naming Robert M. Naudain as his father). [S1] Ruth Bennett, Naudain Family of Delaware, above, p. 97 (naming Robert Morris Naudain as his father). [S1338] The Algona Upper Des Moines, Algona, Iowa, online at http://www.newspapers.com, 21 Dec 1939, p. 1, col. 1 (obituary of William Eliason Naudain) (naming Robert M. Naudain as his father). Other Names*: George W. W. Naudain, George Naudain. "Well-Known Middletown Citizen Fatally Stricken While in This City. "Came to the City on Business and Intended to Attend the Republican County Committee’s Meeting. President of the Town Commissioners of Middletown and One of the Organizers of the People’s Bank. "George W. W. Naudain, a prominent resident of Middletown, and one of the best known men in the county, dropped dead about 3 o’clock yesterday afternoon, at Fourth and Broome streets. Mr. Naudain was 64 years of age, and his death was caused by a sudden attack of heart disease. "He had come to this city yesterday to attend to some business matters, and later to attend the meeting of the Republican County Committee, of which he was a member. At noon he went out on the western side of the city to call on friends, and was returning to the committee meeting, when he was stricken at Fourth and Broome streets. "He was seen to fall by Mr. Melchior, of No. 311 Broome street, and by another man, who hastened to his assistance. Dr. Willard Smith was hastily summoned, but on his arrival a few minutes later he found Mr. Naudain to be dead. He must have died instantly. The body was removed to Undertaker Chandler’s establishment, where it was claimed by relatives immediately. It was prepared by Mr. Chandler for shipment to Mr. Naudain’s late home in Middletown, and was sent down on the train leaving this city shortly before 7 o’clock last evening. "Mr. Naudain was a son of Elias and Martha Naudain, and was born near Hillsboro, Highland county, Ohio, on September 24, 1838. He was a lineal descendant of Elias Naudain, who fled from France in 1861 [sic] to escape the persecution of the Huguenots. "He was educated in the public schools of Highland county, Ohio, and in 1858 he became a clerk in the store of his uncle, J. A. Eliason, in Middletown. In 1865, at the death of his uncle, he succeeded to the business. He was very successful and in 1888 he retired from mercantile life. Since then he has lived a retired life. "Mr. Naudain was president of the town commissioners of Middletown, and one of the organizers of the People’s Bank in 1883. He had been connected with it as a director since then, part of the time in the capacity of president. 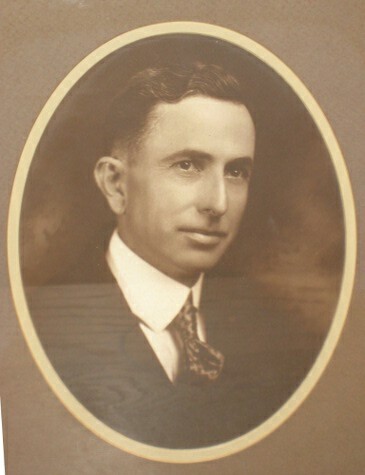 In 1892 he became president of the Middletown Improvement Company, which has figured much in the development of the town. He was a staunch Republican, always active in his party’s affairs, and had been a candidate for office, although he never filled a public office. He was a member of Union Lodge, A. F. and A. M. He also was a member of the Presbyterian Church and for twenty-eight years had been a trustee of Forest Church in Middletown. Note*: Although born and schooled in Ohio, he moved to Delaware as a teenager and clerked in the Middletown store owned by his uncle, J. A. Eliason. He took over the business when his uncle died twelve years later and operated it another twenty-three years until he retired at age 50, in 1888. He was a trustee of Forest Presbyterian Church for twenty-eight years and at his death was president of Peoples Bank in Middletown. From Ruth Bennett's "Naudain Family of Delaware," p. 82: "Mr. Naudain was a man of sound judgment and rare business sagacity and was always found on the right side of every question pertaining to the social welfare of the community." He was stricken suddenly at Fourth and Broome Streets in Wilmington while visiting there and died within a few minutes. [S1] Ruth Bennett, Naudain Family of Delaware (Geneva, Neb. : n.pub., 1941), pp. 40, 65-66, 82. This material is a typescript of "notes" in Ms. Bennett's possession and apparently was originally written and compiled by James W. Lattomus. Copies are with the D.A.R. Library, Washington, D.C., and Roger Bartlett, Austin, Tex., and can be viewed at http://www.rabgenealogy.com/ui53.htm. The notes contain some inconsistencies, and page 45 was missing from the D.A.R. Library copy when it was copied. [S1340] The Morning News, Wilmington, Del., above, 15 Oct 1902, p. 1, col. 3 (obituary of George W. W. Naudain) (naming Martha _____ as his mother). [S1340] The Morning News, Wilmington, Del., above, 15 Oct 1902, p. 1, col. 3 (obituary of George W. W. Naudain). [S1] Ruth Bennett, Naudain Family of Delaware, above, p. 65 (giving the date but not the place). [S1340] The Morning News, Wilmington, Del., above, 15 Oct 1902, p. 1, col. 3 (obituary of George W. W. Naudain) (stating that he collapsed at Fourth and Broome Streets in Wilmington at about 3:00 p.m. from "a sudden attack of heart disease"). [S961] Find A Grave, online at http://www.findagrave.com, memorial for George W. W. Naudain, memorial no. 133981911, viewed on 20 Jul 2016 (giving the date but not the place). [S961] Find A Grave, online, above, memorial for George W. W. Naudain, memorial no. 133981911, viewed on 20 Jul 2016. [S1340] The Morning News, Wilmington, Del., above, 14 Feb 1891, p. 2, col. 4. [S1340] The Morning News, Wilmington, Del., above, 15 Oct 1902, p. 1, col. 3. [S1340] The Morning News, Wilmington, Del., above, 15 Oct 1902, p. 1, col. 3 (obituary of George W. W. Naudain) (Naming George W. W. Naudain as her father). [S1337] The Evening Journal, Wilmington, Del., online at http://www.newspapers.com, 19 Jul 1907, p. 1, col. 4 (naming G. W. W. Naudain as her father). [S1448] Journal-Every Evening, Wilmington, Del., online at http://www.newspapers.com, 10 Mar 1956, p. 25, col. 3 (obituary for Mrs. Helen N. Cooke) (naming George W. Naudain as her father). [S1] Ruth Bennett, Naudain Family of Delaware, above, p. 82 (naming George Washington Wesley Naudain as her father). Other Names*: Catharine Amelia Eliason Naudain, Catherine Amelia Eliason Naudain, Catharine Eliason Naudain, Catherine Eliason Naudain, Katherine Eliason Naudain, Katherine Naudain, Kate Eliason Naudain, Kate Naudain. Obituary*: "MIDDLETOWN, Del., Feb. 7 .—Mrs. 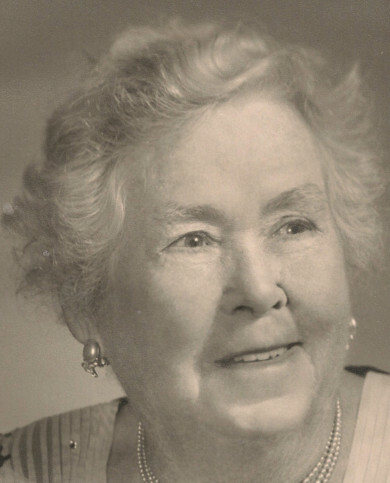 Katherine Eliason Naudain, widow of George W. W. Naudain, died at the home of her daughter, Mrs. John B. Cooke, in Philadelphia on Wednesday, aged 78 years. 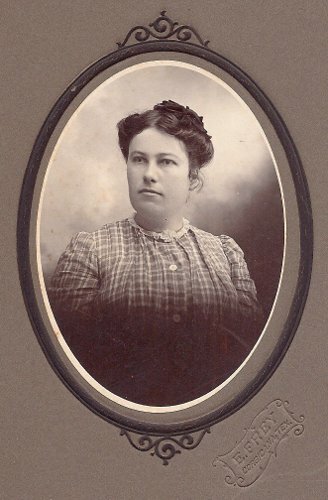 Mrs. Naudain was a daughter of the late Andrew Eliason of Mt. Pleasant and leaves one sister, Mrs. William H. Houston, of Baltimore, Md., and three brothers, Andrew S. Eliason, of Middletown; John Frank Eliason, of Mt. Pleasant, and Lewis Eliason of New Castle. She leaves three daughters, Mrs. Willard B. Biggs, of Middletown; Mrs. John B. Cooke, of Philadelphia, and Mrs. Oscar G. Goodhand of Brooklyn, N. Y. [S1] Ruth Bennett, Naudain Family of Delaware (Geneva, Neb. : n.pub., 1941), pp. 65, 82. This material is a typescript of "notes" in Ms. Bennett's possession and apparently was originally written and compiled by James W. Lattomus. Copies are with the D.A.R. Library, Washington, D.C., and Roger Bartlett, Austin, Tex., and can be viewed at http://www.rabgenealogy.com/ui53.htm. The notes contain some inconsistencies, and page 45 was missing from the D.A.R. Library copy when it was copied. [S961] Find A Grave, online at http://www.findagrave.com, memorial for Catharine Amelia Naudain, memorial no. 133981923, viewed on 20 Jul 2016. [S1340] The Morning News, Wilmington, Del., online at http://www.newspapers.com, 15 Oct 1902, p. 1, col. 3 (obituary of George W. W. Naudain). [S1337] The Evening Journal, Wilmington, Del., above, 7 Feb 1919, p. 3, col. 1 (obituary of Mrs. K. E. Naudain). [S961] Find A Grave, online, above, memorial for Catharine Amelia Naudain, memorial no. 133981923, viewed on 20 Jul 2016 (giving the date but not the place). [S1337] The Evening Journal, Wilmington, Del., above, 7 Feb 1919, p. 3, col. 1. [S1448] Journal-Every Evening, Wilmington, Del., online at http://www.newspapers.com, 10 Mar 1956, p. 25, col. 3 (obituary for Mrs. Helen N. Cooke) (naming Catherine Eliason Naudain as her mother). [S1] Ruth Bennett, Naudain Family of Delaware, above, p. 82 (naming Catharine ['Kate'] Eliason as her mother). Note*: Sometime after their marriage in Ohio, they moved to Perry County, Indiana. He enlisted in the Union Army from there and served three and a half years while she lived on a farm with three small children. He returned from the war badly crippled with rheumatism and died about ten years later. A doctor recommended that she move to a higher and drier climate, so she sold the Indiana farm and moved the family to a farm she bought near Superior, Dickinson County, Iowa. In 1890 she moved to Mt. Vernon, Linn County, Iowa. She died of exhaustion. [S1] Ruth Bennett, Naudain Family of Delaware (Geneva, Neb. : n.pub., 1941), pp. 65-66, 82-83. This material is a typescript of "notes" in Ms. Bennett's possession and apparently was originally written and compiled by James W. Lattomus. Copies are with the D.A.R. Library, Washington, D.C., and Roger Bartlett, Austin, Tex., and can be viewed at http://www.rabgenealogy.com/ui53.htm. The notes contain some inconsistencies, and page 45 was missing from the D.A.R. Library copy when it was copied. [S1] Ruth Bennett, Naudain Family of Delaware, above, p. 101 (giving the date but not the place). Birth*: He was born on 18 July 1837. Burial*: Interment was in Floyd County, Indiana (near New Albany). [S1] Ruth Bennett, Naudain Family of Delaware (Geneva, Neb. : n.pub., 1941), pp. 65, 82-83. This material is a typescript of "notes" in Ms. Bennett's possession and apparently was originally written and compiled by James W. Lattomus. Copies are with the D.A.R. Library, Washington, D.C., and Roger Bartlett, Austin, Tex., and can be viewed at http://www.rabgenealogy.com/ui53.htm. The notes contain some inconsistencies, and page 45 was missing from the D.A.R. Library copy when it was copied. Marriage*: He married Sallie H. Perkins on 6 March 1865. Marriage*: He married Mary Virginia Cohen on 18 January 1871. Marriage*: He married Mary M. Calloway on 1 June 1880. • "One of those pleasant family gatherings known as a family reunion is this week being held by the Naudain family. Following are the names and places of residence of members of the family present: R. M. Naudain of Algona, [Iowa], J. W. Naudain of Wilmington, Delaware, C. E. Naudain of Philadelphia, Pa., Mrs. M. J. Naudain Bennett of Mt. 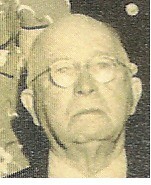 Vernon, Iowa, and T. N. Naudain of Omaha, Nebraska, at whose home in the last named city the reunion is being held. All members of the family now living are present. The oldest is 63 years of age and the youngest is 51. Incidentally, and to add to the pleasure of the occasion, they will look through the Trans-Mississippi together. R. M. Naudain of this place left for Omaha this morning." • "FUNERAL OF T. N. NAUDAIN. Obituary*: • "DEATH OF T. N. NAUDAIN. "The death of T. N. Naudain occurred last evening at his home, No. 431 Park View avenue, after an illness of but a few days. Mr. Naudain had resided in Los Angeles five or six years. He built up a modest moderate competency in the dry goods business in Washington, D. C., and as a banker and broker in Chicago and other western cities, but was obliged to retire from active business on account of poor health. He took a keen interest in financial and political matters, and was a forceful, independent man, highly esteemed by those who knew him. He leaves a widow and a young child here, and a daughter in Chicago. He was a Scottish Rite Mason. Note*: • When his father died in 1855, when Thomas was thirteen, he went to live with his uncle, William C. Eliason, in Smyrna, Delaware. In 1865, he and brother George took over the mercantile business of their uncle, John A. Eliason, in Middletown, Delaware. Three years later Thomas withdrew from the partnership and moved to Washington, D.C. to run a dry goods and notions business. • In 1880 or 1881 he moved to Burlington, Iowa and operated a similar business for several years until failing health forced him to give it up. For a few months after his retirement, he and a former partner took over the winding up of a defunct bank in Blair, Nebraska. He then moved to Omaha and engaged in the business of brokering cattle and stockyard notes. He retired from that business about 1900 and moved to Los Angeles, where he lived the rest of his life. He included in his will the wish to be buried in "the land of sunshine and flowers." [S1] Ruth Bennett, Naudain Family of Delaware (Geneva, Neb. : n.pub., 1941), p. 65 (naming Elias Naudain as his father). This material is a typescript of "notes" in Ms. Bennett's possession and apparently was originally written and compiled by James W. Lattomus. Copies are with the D.A.R. Library, Washington, D.C., and Roger Bartlett, Austin, Tex., and can be viewed at http://www.rabgenealogy.com/ui53.htm. The notes contain some inconsistencies, and page 45 was missing from the D.A.R. Library copy when it was copied. [S961] Find A Grave, online at http://www.findagrave.com, memorial for Thomas N. Naudain, memorial no. 99555666, viewed on 30 Jan 2014. [S1418] Los Angeles Times, Los Angeles, Calif., online at http://www.newspapers.com, 1 Jun 1909, p. 12, col. 2. [S1] Ruth Bennett, Naudain Family of Delaware, above, p. 83 (giving the date but not the place). [S1360] The Chicago Tribune, Chicago, Ill., online at http://www.newspapers.com, 27 May 1882, p. 5, col. 4 (with obvious typographical errors corrected) (first bullet). [S1342] The Republican, Algona, Iowa, online at http://www.newspapers.com, 5 Oct 1898, p. 5, col. 5 (second bullet). [S1418] Los Angeles Times, Los Angeles, Calif., above, 6 Jun 1909, p. 12, col. 3 (third bullet). [S1418] Los Angeles Times, Los Angeles, Calif., above, 1 Jun 1909, p. 12, col. 2 (first bullet). [S1351] Los Angeles Herald, Los Angeles, Calif., online at http://www.newspapers.com, 5 Jun 1909, p. 15, col. 1 (second bullet). [S1] Ruth Bennett, Naudain Family of Delaware, above, pp. 83-84 (first bullet). [S1] Ruth Bennett, Naudain Family of Delaware, above, pp. 83-84 (second bullet). [S1499] Morning Appeal, Carson City, Nev., online at https://www.newspapers.com, 18 Feb 1904, p. 1, col. 3 (third bullet). [S1] Ruth Bennett, Naudain Family of Delaware, above, pp. 83, 97 (naming Thomas N. Naudain as her father). [S961] Find A Grave, online, above, memorial for Evelyn Naudain, memorial no. 79316712, viewed on 30 Jan 2014 (naming Thomas N. Naudain as her father). [S1] Ruth Bennett, Naudain Family of Delaware, above, p. 83 (naming Thomas Nelson Naudain as her father). Birth*: He was born on 6 May 1847 in Highland County, Ohio (near Hillsboro). Scrapbook*: • "Mr. Corbit Naudain and Miss Ida Naudain, of Philadelphia, both of whom have many friends in Caroline county, were quietly married at the residence of the bride’s uncle, Dr. Alex Hardcastle, at half-past twelve on Wednesday last. Only relatives were present. Rev. G. W. Townsend, of the Methodist Episcopal Church, was the officiating minister. After lunch Mr. Naudain and bride drove to Ridgely whence they left on their wedding tour which will extend as far north as Niagara Falls and as far west as Chicago." Note*: • When his father died when Corbit was six years old, he went to live with his uncle, William C. Eliason, to live in Philadelphia. He clerked in the store of brother George for six years and then with McCallum, Case & Sloan in Philadelphia for twelve years. He then worked for Philadelphia Savings Fund Society. He and his first wife, Ida, were fourth cousins. He lived in Melrose Park, a Philadelphia suburb, and had no children by either marriage. • Sources conflict on his death date. A family history says he died on 2 Jun 1923, while a contemporary newspaper item says 4 Jun 1923. [S1] Ruth Bennett, Naudain Family of Delaware (Geneva, Neb. : n.pub., 1941), pp. 65-66, 79, 84. This material is a typescript of "notes" in Ms. Bennett's possession and apparently was originally written and compiled by James W. Lattomus. Copies are with the D.A.R. Library, Washington, D.C., and Roger Bartlett, Austin, Tex., and can be viewed at http://www.rabgenealogy.com/ui53.htm. The notes contain some inconsistencies, and page 45 was missing from the D.A.R. Library copy when it was copied. [S1350] Denton Journal, Denton, Md., online at http://www.newspapers.com, 26 Jun 1897, p. 3, col. 2 (obituary of Mrs. Ida Naudain) (naming Corbit E. Naudain as her husband). [S1337] The Evening Journal, Wilmington, Del., online at http://www.newspapers.com, 5 Jun 1923, p. 6, col. 3. [S1350] Denton Journal, Denton, Md., above, 6 Jun 1891, p. 3, col. 4 (first bullet). [S1428] The Philadelphia Inquirer, Philadelphia, Pa., online at http://www.genealogybank.com, 26 Sep 1902, p. 2, col. 7 (second bullet). [S1] Ruth Bennett, Naudain Family of Delaware, above, (first bullet). [S1] Ruth Bennett, Naudain Family of Delaware, above, (second bullet) (giving 2 Jun 1923 as his death date). [S1337] The Evening Journal, Wilmington, Del., above, 5 Jun 1923, p. 6, col. 3 (second bullet) giving 4 Jun 1923 as his death date). [S1] Ruth Bennett, Naudain Family of Delaware, above, (third bullet) (giving 6 May 1847 as his birth date). [S961] Find A Grave, online at http://www.findagrave.com, memorial for Corbit Eliason Naudain, memorial no. 133981964, viewed on 29 Jun 2016 (third bullet) (giving 8 May 1847 as his birth date). 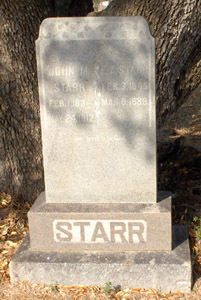 John Clayton Starr's tombstone, San Miguel Cemetery, Miguel, Tex. [S1212] Miguel (Tex.) Cemetery, online http://www.txgenweb7.org/txfrio/miguel_cem.htm, viewed on 27 Jun 2011 (stating that he was "son of M&M J.M. Starr"). [S1] Ruth Bennett, Naudain Family of Delaware (Geneva, Neb. : n.pub., 1941), p.66. This material is a typescript of "notes" in Ms. Bennett's possession and apparently was originally written and compiled by James W. Lattomus. Copies are with the D.A.R. Library, Washington, D.C., and Roger Bartlett, Austin, Tex., and can be viewed at http://www.rabgenealogy.com/ui53.htm. The notes contain some inconsistencies, and page 45 was missing from the D.A.R. Library copy when it was copied. 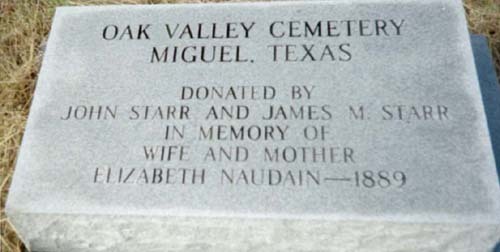 J. M. and Elizabeth Naudain Starr's tombstone, San Miguel Cemetery, Miguel, Tex. • His Find A Grave memorial, which includes a picture of his tombstone, is here[:LWEB]. [S1] Ruth Bennett, Naudain Family of Delaware (Geneva, Neb. : n.pub., 1941), p. 86. This material is a typescript of "notes" in Ms. Bennett's possession and apparently was originally written and compiled by James W. Lattomus. Copies are with the D.A.R. Library, Washington, D.C., and Roger Bartlett, Austin, Tex., and can be viewed at http://www.rabgenealogy.com/ui53.htm. The notes contain some inconsistencies, and page 45 was missing from the D.A.R. Library copy when it was copied. [S1] Ruth Bennett, Naudain Family of Delaware, above, pp. 86-87. [S1] Ruth Bennett, Naudain Family of Delaware, above, pp. 86, 87. [S1] Ruth Bennett, Naudain Family of Delaware, above, p. 86 (indicating that John Milize Starr was her father). [S1] Ruth Bennett, Naudain Family of Delaware, above, p. 86 (indicating that John Milize Starr was his father). 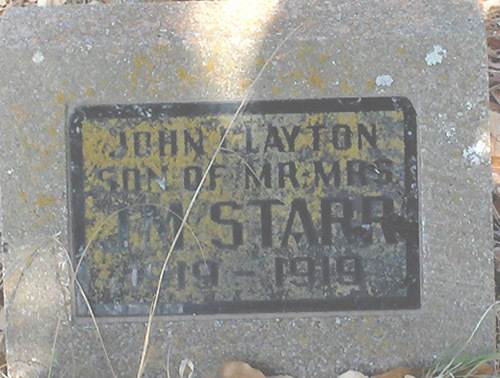 [S961] Find A Grave, online at http://www.findagrave.com, memorial for James Monroe Starr, memorial no. 14188400, viewed on 26 Jul 2018 (naming John Melize Starr as his father). • His memorial on Find A Grave, which includes a picture of his tombstone, is here. • An obituary and his Masonic lodge's resolutions of respect are here. [S268] Donna Griffith, electronic mail to Roger Bartlett, 13 May 1997 (naming John Williams as his father). [S418] Elizabeth Anne Williams Miller, family group sheet sent to Roger Bartlett, 24 Jun 1998 (naming John H. Williams as his father). [S390] Elizabeth Anne Williams Miller, electronic mail to Roger Bartlett, 11 Mar 1998, (naming John Holley Williams as his father). [S268] Donna Griffith, electronic mail to Roger Bartlett, 13 May 1997 (naming Rhoada Strickland as his mother). [S390] Elizabeth Anne Williams Miller, electronic mail to Roger Bartlett, 11 Mar 1998, (naming Rhoda Strickland as his mother). [S418] Elizabeth Anne Williams Miller, 24 Jun 1998 family group sheet, above (naming Rhoda Strickland as his mother). [S414] Elizabeth Anne Williams Miller, electronic mail to Roger Bartlett, 27 May 1998. [S961] Find A Grave, online at http://www.findagrave.com, memorial for Isaac Williams, memorial no. 41686489, viewed on 27 May 2017. [S1242] Resolutions of respect by Mt. Carmel Masonic Lodge No. 453 on death of Isaac Williams (unidentified newspaper clipping in bible probably originally owned by German Walker and Isa Fontaine Williams). The bible is now in the possession of Roger Bartlett. [S961] Find A Grave, online, above, memorial for Isaac Williams, memorial no. 41686489, viewed on 27 May 2017 (not giving the date or place). [S961] Find A Grave, online, above, memorial for Mary Fountain "Polly" Griffith Williams, memorial no. 41686649, viewed on 27 May 2017 (not giving the date or place). [S961] Find A Grave, online, above, memorial for Isaac Williams, memorial no. 41686489, viewed on 14 Aug 2011. [S414] Elizabeth Anne Williams Miller, electronic mail to Roger Bartlett, 27 May 1998 (stating that they lived in the part of Lawrence County that became Jefferson Davis County). [S418] Elizabeth Anne Williams Miller, 24 Jun 1998 family group sheet, above (giving 27 Mar 1809 as his birth date). [S418] Elizabeth Anne Williams Miller, 24 Jun 1998 family group sheet, above (naming Isaac Williams as his father). [S215] Betty Couch Wiltshire, comp., Marriages and Deaths from Mississippi Newspapers, vol. 4: 1850-1861 (Bowie, Md. : Heritage Books, Inc., 1990), p. 17 (citing to Flag of the Union, Jackson, Miss., 7 Jan 1853) (giving her name as Miss Icy F. Williams and identifying her as "eldest daughter of Mr. Isaac Williams"). [S418] Elizabeth Anne Williams Miller, 24 Jun 1998 family group sheet, above (naming Isaac Williams as her father). [S961] Find A Grave, online, above, memorial for Hiram Griffith Williams, memorial no. 40646524, viewed on 4 Jun 2018 (naming Isaac Williams as his father). [S414] Elizabeth Anne Williams Miller, electronic mail to Roger Bartlett, 27 May 1998 (naming Isaac Williams as his father). [S961] Find A Grave, online, above, memorial for William Franklin Williams, memorial no. 41686820, viewed on 14 Aug 2011 (naming Isaac Williams as his father). Other Names*: Polly Griffith, Polly Williams. • Her memorial on Find A Grave, which includes a picture of her tombstone, is here. [S268] Donna Griffith, electronic mail to Roger Bartlett, 13 May 1997 (naming Hiram Griffith as her father). [S418] Elizabeth Anne Williams Miller, family group sheet sent to Roger Bartlett, 24 Jun 1998 (naming Hiram Griffith as her father). [S961] Find A Grave, online at http://www.findagrave.com, memorial for Mary Fountain "Polly" Griffith Williams, memorial no. 41686649, viewed on 27 May 2017 (naming Hiram Thomas Griffith Sr. as her father). [S268] Donna Griffith, electronic mail to Roger Bartlett, 13 May 1997 (naming Icy Phoena Moten Fountain as her mother). [S418] Elizabeth Anne Williams Miller, 24 Jun 1998 family group sheet, above (naming Icy Phoena Moten Fountain as her mother). [S961] Find A Grave, online, above, memorial for Mary Fountain "Polly" Griffith Williams, memorial no. 41686649, viewed on 27 May 2017 (naming Icy Phoena Moten Fountain Griffith as her mother). [S414] Elizabeth Anne Williams Miller, electronic mail to Roger Bartlett, 27 May 1998 (giving only the date). [S961] Find A Grave, online, above, memorial for Mary Fountain "Polly" Griffith Williams, memorial no. 41686649, viewed on 27 May 2017. [S961] Find A Grave, online, above, memorial for Mary Fountain "Polly" Griffith Williams, memorial no. 41686649, viewed on 14 Aug 2011. [S418] Elizabeth Anne Williams Miller, 24 Jun 1998 family group sheet, above (naming Mary Fountain Griffith as his mother). [S418] Elizabeth Anne Williams Miller, 24 Jun 1998 family group sheet, above (naming Mary Fountain Griffith as her mother). [S961] Find A Grave, online, above, memorial for Hiram Griffith Williams, memorial no. 40646524, viewed on 4 Jun 2018 (naming Mary Fountain Griffith as his mother). [S414] Elizabeth Anne Williams Miller, electronic mail to Roger Bartlett, 27 May 1998 (naming Mary F. Williams as his mother). [S961] Find A Grave, online, above, memorial for William Franklin Williams, memorial no. 41686820, viewed on 14 Aug 2011 (naming Mary Fountain "Polly" Griffith Williams as his mother). [S64] Carolyn L. Bush Laird, The Bush Family As Descended from Richard and Mary Prescott Bush (n.p. : n.pub., 1987) p. 64 (naming German Walker as his father) (attributing some information to Mrs. Bobby [John P.] Harkins, 4114 North State S., Jackson, Miss.). This typewritten, photocopied work was produced by Carolyn L. Bush Laird. A copy is in the Genealogy Collection, Texas State Library, Austin, Tex. [S300] Norma Walker Anderson, Sarah Junell Walker Mullinnix, and Bobbye Roberts Harkins, comps., A Genealogical Record for the Descendants of Lt. Isaac Walker and Elizabeth Stuart (n.p. : n.pub., 1995), p. 148 (naming German Walker as his father). [S64] Carolyn L. Bush Laird, [etc. ], above p. 64 (naming Isa F. Williams as his mother) (attributing some information to Mrs. Bobby [John P.] Harkins, 4114 North State S., Jackson, Miss.). [S300] Norma Walker Anderson, et al., A Genealogical Record for the Descendants of Lt. Isaac Walker and Elizabeth Stuart, above, p. 148 (naming Icy Fontaine Williams as his mother). [S1106] Flicka A. Guinn Smith & Joseph W. Sumrall, Sr., comps., Covington County, MS Cemetery Census (Ellisville, Miss. : S&S Enterprises, 2001), p. 118 (not giving the date but stating that he was fifty-seven years, two months, and twenty days old when he died on 19 Dec 1910). [S1243] The Holy Bible, Containing the Old and New Testaments: Translated Out of the Original Tongues: and with the Former Translations Diligently Compared and Revised, by His Majesty's Special Command (Oxford: University Press, n.d.), following p. 956. This bible probably was originally owned by German Walker and Isa Fontain Williams and is now in the possession of Roger Bartlett. [S64] Carolyn L. Bush Laird, [etc. ], above p. 64 (not giving the date) (attributing some information to Mrs. Bobby [John P.] Harkins, 4114 North State S., Jackson, Miss.). [S300] Norma Walker Anderson, et al., A Genealogical Record for the Descendants of Lt. Isaac Walker and Elizabeth Stuart, above, p. 148 (not giving the date). [S979] Jean Strickland and Patricia N. Edwards, Who Married Whom, Covington County, Mississippi (Moss Point, Miss. : n.pub. 1991), p. 175. [S1106] Flicka A. Guinn Smith & Joseph W. Sumrall, Sr., comps., Covington County, MS Cemetery Census, above, p. 118 (stating that she was the wife of Asa I. Walker but not giving the date). [S300] Norma Walker Anderson, et al., A Genealogical Record for the Descendants of Lt. Isaac Walker and Elizabeth Stuart, above, p. 148. [S1106] Flicka A. Guinn Smith & Joseph W. Sumrall, Sr., comps., Covington County, MS Cemetery Census, above, p. 118 (giving the date but not the place). [S1243] Walker-Williams bible, above, following p. 956 (giving the date but not the place). [S1106] Flicka A. Guinn Smith & Joseph W. Sumrall, Sr., comps., Covington County, MS Cemetery Census, above, pp. 108, 118. [S300] Norma Walker Anderson, et al., A Genealogical Record for the Descendants of Lt. Isaac Walker and Elizabeth Stuart, above, p. 149 (describing his occupations). [S979] Jean Strickland and Patricia N. Edwards, Who Married Whom, Covington County, Mississippi, above, p. 175 (stating that he was born in 1856). [S300] Norma Walker Anderson, et al., A Genealogical Record for the Descendants of Lt. Isaac Walker and Elizabeth Stuart, above, p. 149 (naming Asa Isaac Walker as his father). [S300] Norma Walker Anderson, et al., A Genealogical Record for the Descendants of Lt. Isaac Walker and Elizabeth Stuart, above, p. 149 (naming Asa Isaac Walker as her father). [S1106] Flicka A. Guinn Smith & Joseph W. Sumrall, Sr., comps., Covington County, MS Cemetery Census (Ellisville, Miss. : S&S Enterprises, 2001), p. 118. [S64] Carolyn L. Bush Laird, The Bush Family As Descended from Richard and Mary Prescott Bush (n.p. : n.pub., 1987) p. 64 (not giving the date) (attributing some information to Mrs. Bobby [John P.] Harkins, 4114 North State S., Jackson, Miss.). This typewritten, photocopied work was produced by Carolyn L. Bush Laird. A copy is in the Genealogy Collection, Texas State Library, Austin, Tex. [S300] Norma Walker Anderson, Sarah Junell Walker Mullinnix, and Bobbye Roberts Harkins, comps., A Genealogical Record for the Descendants of Lt. Isaac Walker and Elizabeth Stuart (n.p. : n.pub., 1995), p. 148 (not giving the date). [S300] Norma Walker Anderson, et al., A Genealogical Record for the Descendants of Lt. Isaac Walker and Elizabeth Stuart, above, p. 149 (naming Martha Jane Magee as her mother). Other Names*: Ada Amanda McLaurin. [S64] Carolyn L. Bush Laird, The Bush Family As Descended from Richard and Mary Prescott Bush (n.p. : n.pub., 1987) p. 64 (naming German Walker as her father) (attributing some information to Mrs. Bobby [John P.] Harkins, 4114 North State S., Jackson, Miss.). This typewritten, photocopied work was produced by Carolyn L. Bush Laird. A copy is in the Genealogy Collection, Texas State Library, Austin, Tex. [S300] Norma Walker Anderson, Sarah Junell Walker Mullinnix, and Bobbye Roberts Harkins, comps., A Genealogical Record for the Descendants of Lt. Isaac Walker and Elizabeth Stuart (n.p. : n.pub., 1995), p. 148 (naming German Walker as her father). [S64] Carolyn L. Bush Laird, [etc. ], above p. 64 (naming Isa F. Williams as her mother) (attributing some information to Mrs. Bobby [John P.] Harkins, 4114 North State S., Jackson, Miss.). [S300] Norma Walker Anderson, et al., A Genealogical Record for the Descendants of Lt. Isaac Walker and Elizabeth Stuart, above, p. 148 (naming Icy Fontaine Williams as her mother). [S300] Norma Walker Anderson, et al., A Genealogical Record for the Descendants of Lt. Isaac Walker and Elizabeth Stuart, above, p. 153 (not naming the county). [S1106] Flicka A. Guinn Smith & Joseph W. Sumrall, Sr., comps., Covington County, MS Cemetery Census (Ellisville, Miss. : S&S Enterprises, 2001), p. 115 (giving the date but not the place). [S1243] The Holy Bible, Containing the Old and New Testaments: Translated Out of the Original Tongues: and with the Former Translations Diligently Compared and Revised, by His Majesty's Special Command (Oxford: University Press, n.d.), following p. 956 (giving the date but not the place). This bible probably was originally owned by German Walker and Isa Fontain Williams and is now in the possession of Roger Bartlett. [S961] Find A Grave, online at http://www.findagrave.com, memorial for Ada Amanda Walker McLaurin, memorial no. 59236973, viewed on 15 Aug 2017 (giving the date but not the place). [S64] Carolyn L. Bush Laird, [etc. ], above p. 64 (not giving the date or place) (attributing some information to Mrs. Bobby [John P.] Harkins, 4114 North State S., Jackson, Miss.). [S300] Norma Walker Anderson, et al., A Genealogical Record for the Descendants of Lt. Isaac Walker and Elizabeth Stuart, above, p. 153 (not giving the date or place). [S300] Norma Walker Anderson, et al., A Genealogical Record for the Descendants of Lt. Isaac Walker and Elizabeth Stuart, above, p. 153 (not naming the city or county). [S300] Norma Walker Anderson, et al., A Genealogical Record for the Descendants of Lt. Isaac Walker and Elizabeth Stuart, above, p. 153. [S1106] Flicka A. Guinn Smith & Joseph W. Sumrall, Sr., comps., Covington County, MS Cemetery Census, above, p. 115. [S961] Find A Grave, online, above, memorial for Ada Amanda Walker McLaurin, memorial no. 59236973, viewed on 15 Aug 2017. [S300] Norma Walker Anderson, et al., A Genealogical Record for the Descendants of Lt. Isaac Walker and Elizabeth Stuart, above, p. 153 (naming Ada Amanda Walker as her mother). [S300] Norma Walker Anderson, et al., A Genealogical Record for the Descendants of Lt. Isaac Walker and Elizabeth Stuart, above, p. 153 (naming Ada Amanda Walker as his mother). [S961] Find A Grave, online at http://www.findagrave.com, memorial for Archibald C. 'Archie' McLaurin, memorial no. 59237297, viewed on 15 Aug 2017. [S64] Carolyn L. Bush Laird, The Bush Family As Descended from Richard and Mary Prescott Bush (n.p. : n.pub., 1987) p. 64 (not giving the date or place) (attributing some information to Mrs. Bobby [John P.] Harkins, 4114 North State S., Jackson, Miss.). This typewritten, photocopied work was produced by Carolyn L. Bush Laird. A copy is in the Genealogy Collection, Texas State Library, Austin, Tex. [S300] Norma Walker Anderson, Sarah Junell Walker Mullinnix, and Bobbye Roberts Harkins, comps., A Genealogical Record for the Descendants of Lt. Isaac Walker and Elizabeth Stuart (n.p. : n.pub., 1995), p. 153 (not giving the date or place). [S300] Norma Walker Anderson, et al., A Genealogical Record for the Descendants of Lt. Isaac Walker and Elizabeth Stuart, above, p. 153 (naming Archie C. McLaurin as her father). [S300] Norma Walker Anderson, et al., A Genealogical Record for the Descendants of Lt. Isaac Walker and Elizabeth Stuart, above, p. 153 (naming Archie C. McLaurin as his father). Note*: For many years he was a partner in Becker-Lyell-McGrath Co. of Wesson, Mississippi. [S300] Norma Walker Anderson, et al., A Genealogical Record for the Descendants of Lt. Isaac Walker and Elizabeth Stuart, above, p. 154 (giving only the date and state). [S830] Beauregard (Miss.) Cemetery, online at http://www.rootsweb.com/~mscopiah, (giving the date but not the place). [S1243] The Holy Bible, Containing the Old and New Testaments: Translated Out of the Original Tongues: and with the Former Translations Diligently Compared and Revised, by His Majesty's Special Command (Oxford: University Press, n.d.), following p. 956 (giving his name as German Jeff Walker and giving the date but not the place). This bible probably was originally owned by German Walker and Isa Fontain Williams and is now in the possession of Roger Bartlett. [S300] Norma Walker Anderson, et al., A Genealogical Record for the Descendants of Lt. Isaac Walker and Elizabeth Stuart, above, p. 154. [S300] Norma Walker Anderson, et al., A Genealogical Record for the Descendants of Lt. Isaac Walker and Elizabeth Stuart, above, p. 154 (giving the date but not the place). [S830] Beauregard (Miss.) Cemetery, online at http://www.rootsweb.com/~mscopiah, (giving the date but not naming the place). [S300] Norma Walker Anderson, et al., A Genealogical Record for the Descendants of Lt. Isaac Walker and Elizabeth Stuart, above, p. 154 (giving only the state). [S830] Beauregard (Miss.) Cemetery, online at http://www.rootsweb.com/~mscopiah, (giving his name as C. J. Walker). [S1243] Walker-Williams bible, above, (giving his name as German Jeff Walker). [S300] Norma Walker Anderson, Sarah Junell Walker Mullinnix, and Bobbye Roberts Harkins, comps., A Genealogical Record for the Descendants of Lt. Isaac Walker and Elizabeth Stuart (n.p. : n.pub., 1995), p. 154. "Mrs. T. R. Harwell, 80, a resident of San Angelo since 1922 and of West Texas since 1908, died at the home of a daughter, Mrs. J. M. Gay, at 3:30 Saturday afternoon. Mrs. Harwell had been critically ill only a short while. "Funeral services are to be held from the First Methodist church here at 4 p. m. today with Dr. K. P. Barton and the Rev. L. U. Spellmann officiating. Pallbearers will be Horace Hollman, J. T. Mathison, E. M. Steele, Taylor Jones, P. R. Hargrove and Homer Massey. Johnson’s Funeral Home is in charge of arrangements. "Surviving are two daughters, Mrs. Gay here and Mrs. Paul Ritter, Jr., of Houston, and a son, George G. Harwell of Ballinger; a sister, Mrs. D. M. Loop, Rice, Texas, and two [sic] brothers, E. B. Walker of Mobile, Ala; a step-daughter, Mrs. T. A. Boyd of Corsicana, five stepsons, J. D. and Byron Harwell of Corsicana, W. L. Harwell of El Paso, R. C. Harwell of Corpus Christi and T. C. Harwell of Bruni, and 32 grandchildren and 25 great-grandchildren. "Mrs. Harwell was born at Stonewall, Miss., Feb. 11, 1861. 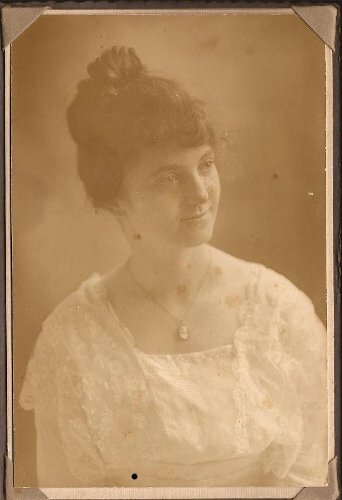 She and Mr. Harwell were married Oct. 12, 1893. He died Feb. 22, 1920. [S961] Find A Grave, online at http://www.findagrave.com, memorial for Mary E. Harwell, memorial no. 63759337, viewed on 18 Jan 2014 (giving the year but no other information). [S1551] Corsicana Semi-Weekly Light, Corsicana, Tex., online at http://www.newspapers.com, 6 Jun 1941, p. 5, cols. 5-6 (obituary for Mrs. T. R. Harwell), attributing obituary to the San Angelo Standard, San Angelo, Tex., 1 Jun 1941. [S111] Supposition as to date, based on believed marriage order. [S300] Norma Walker Anderson, et al., A Genealogical Record for the Descendants of Lt. Isaac Walker and Elizabeth Stuart, above, p. 154 (not giving the date). [S15] Navarro County, Texas Marriages, vol. 2, 1889-1899 (Corsicana, Tex. : The Navarro County Gen. Soc'y, 1987), p. 142 (citing Navarro County, Texas Marriage Records, vol. VII, p. 506) (giving her name as Mary Buckanan). [S300] Norma Walker Anderson, et al., A Genealogical Record for the Descendants of Lt. Isaac Walker and Elizabeth Stuart, above, p. 154 (not giving the date or place). [S1550] The Hamlin Herald, Hamlin, Tex., online at http://www.newspapers.com, 27 Feb 1920, p. 1, col. 3 (obituary for T. R. Harwell). [S1551] Corsicana Semi-Weekly Light, Corsicana, Tex., online, above 6 Jun 1941, p. 5, cols. 5-6, attributing obituary to the San Angelo Standard, San Angelo, Tex., 1 Jun 1941 (giving the date but not the place). [S11] Index to Texas Death Records (Austin, Tex. : Tex. Dept. of Health, Bur. of Vital Statistics), typescript, 1941-45, vol. 5, p. 2291, file 24880. [S1551] Corsicana Semi-Weekly Light, Corsicana, Tex., online, above 6 Jun 1941, p. 5, cols. 5-6, attributing obituary to the San Angelo Standard, San Angelo, Tex., 1 Jun 1941 (stating that she died at 3:30 p.m.). [S300] Norma Walker Anderson, et al., A Genealogical Record for the Descendants of Lt. Isaac Walker and Elizabeth Stuart, above, p. 154 (naming the city but not the cemetery). [S961] Find A Grave, online, above, memorial for Mary E. Harwell, memorial no. 63759337, viewed on 18 Jan 2014. [S1551] Corsicana Semi-Weekly Light, Corsicana, Tex., online, above 6 Jun 1941, p. 5, cols. 5-6, attributing obituary to the San Angelo Standard, San Angelo, Tex., 1 Jun 1941 (reprinted here with consent of the [etc. ]Corsicana Daily Sun[etc.]). [S300] Norma Walker Anderson, et al., A Genealogical Record for the Descendants of Lt. Isaac Walker and Elizabeth Stuart, above, p. 154 (naming Mary Ellen Walker as her mother). [S300] Norma Walker Anderson, et al., A Genealogical Record for the Descendants of Lt. Isaac Walker and Elizabeth Stuart, above, p. 154 (giving his middle name as Herman and naming Mary Ellen Walker as his mother). [S300] Norma Walker Anderson, Sarah Junell Walker Mullinnix, and Bobbye Roberts Harkins, comps., A Genealogical Record for the Descendants of Lt. Isaac Walker and Elizabeth Stuart (n.p. : n.pub., 1995), p. 154 (not giving the date). Other Names*: Thomas Harwell, T. R. Harwell. "In the passing away of Mr. T. R. Harwell, Hamlin lost a good man and citizen. The deceased was born in Starvill , Ga.[sic], in 1853, on April 15, thus at the time of death he was near 67 years of age. "Mr. Harwell was married to the wife who now mourns his death, at Chatfield, Texas, on October 12, 1893 she being his second wife. In all there are ten children who live to see the passing of their father, W. L. Harwell of De Leon, T. C. Harwell, Waco; R. C. Harwell, Navara ; [sic]J. D. Harwell, Hamlin; Byron, Prairie Hill; German Harwell, San Angelo; Mesdames Joe Gay and Fred Graves of San Angelo; Mrs. T. A. Boyd, Navara [sic] and Miss Noma [sic] Harwell of Hamlin. All the children were present when death came except T. C. and Byron Harwell. "Funeral services were held at the Methodist church Monday afternoon conducted by the pastor, Rev. Jameson. The remains were laid to rest in East Cemetery. Note*: • From a newspaper obituary: "The deceased was a christian gentleman of the first rank, was a member of the Methodist curch. H had led a very active life in public affairs and in his private business. . . . He had a friendly hand for everyone with whom he deals. In the death of this man the community loses a valuable citizen and the wife an affectionate husband and the children a loving father." [S961] Find A Grave, online at http://www.findagrave.com, memorial for Thomas Ramson Harwell, memorial no. 65590396, viewed on 29 Dec 2018 (giving the date and state but no other information). [S1550] The Hamlin Herald, Hamlin, Tex., online at http://www.newspapers.com, (obituary for T. R. Harwell). [S300] Norma Walker Anderson, Sarah Junell Walker Mullinnix, and Bobbye Roberts Harkins, comps., A Genealogical Record for the Descendants of Lt. Isaac Walker and Elizabeth Stuart (n.p. : n.pub., 1995), p. 154 (not giving the date or place). [S1550] The Hamlin Herald, Hamlin, Tex., online, above 27 Feb 1920, p. 1, col. 3 (obituary for T. R. Harwell). [S1551] Corsicana Semi-Weekly Light, Corsicana, Tex., online at http://www.newspapers.com, 6 Jun 1941, p. 5, cols. 5-6, attributing obituary to the San Angelo Standard, San Angelo, Tex., 1 Jun 1941 (giving the date but not the place). [S961] Find A Grave, online, above, memorial for Thomas Ramson Harwell, memorial no. 65590396, viewed on 29 Dec 2018. [S1550] The Hamlin Herald, Hamlin, Tex., online, above 27 Feb 1920, p. 1, col. 3 (obituary for T. R. Harwell) (identifying the cemetery as East Cemetery). [S1550] The Hamlin Herald, Hamlin, Tex., online, above (with obvious typographical errors corrected). [S1550] The Hamlin Herald, Hamlin, Tex., online, above 27 Feb 1920, p. 1, col. 3 (with obvious typographical errors corrected0 (first and second bullet). [S300] Norma Walker Anderson, et al., A Genealogical Record for the Descendants of Lt. Isaac Walker and Elizabeth Stuart, above, p. 154 (naming T. R. Harwell as her father). [S300] Norma Walker Anderson, et al., A Genealogical Record for the Descendants of Lt. Isaac Walker and Elizabeth Stuart, above, p. 154 (giving his middle name as Herman and naming T. R. Harwell as his father). Hiram Street Walker, Sr., courtesy of Jane Hall. Other Names*: Hiram Walker, Street Walker. [S1105] Helen A. Thompson, ed. and comp., Magnolia Cemetery (New Orleans, La. : Polyanthos, Inc., 1974), p. 334 (giving the date but not the place). [S961] Find A Grave, online at http://www.findagrave.com, memorial for Hiram Street Walker, Sr., memorial no. 8393691, viewed on 25 Sep 2013 (giving the date but not the place). [S300] Norma Walker Anderson, et al., A Genealogical Record for the Descendants of Lt. Isaac Walker and Elizabeth Stuart, above, p. 156 (giving the month, year, and place). [S300] Norma Walker Anderson, et al., A Genealogical Record for the Descendants of Lt. Isaac Walker and Elizabeth Stuart, above, p. 156 (giving the city but not the cemetery). [S1105] Helen A. Thompson, ed. and comp., Magnolia Cemetery, above, p. 334. [S961] Find A Grave, online, above, memorial for Hiram Street Walker, Sr., memorial no. 8393691, viewed on 25 Sep 2013. [S300] Norma Walker Anderson, et al., A Genealogical Record for the Descendants of Lt. Isaac Walker and Elizabeth Stuart, above, p. 156 (naming Hiram Street Walker as her father). [S961] Find A Grave, online, above, memorial for Mary Elizabeth Walker Payne, memorial no. 8393679, viewed on 10 Sep 2013 (naming Hiram Street Walker as her father). [S300] Norma Walker Anderson, et al., A Genealogical Record for the Descendants of Lt. Isaac Walker and Elizabeth Stuart, above, p. 156 (naming Hiram Street Walker as his father). Lucretia Frances Payne Walker, courtesy of Jane Hall. Other Names*: Lucretia Payne, Lucretia Frances Payne Walker, Lucretia Frances Walker, Lucretia Payne Walker, Lucretia Walker. [S961] Find A Grave, online at http://www.findagrave.com, memorial for Lucretia Frances Payne Walker, memorial no. 8393694, viewed on 25 Sep 2013. Sallie Matilda Walker, courtesy of Dorothy Bartlett. [S64] Carolyn L. Bush Laird, The Bush Family As Descended from Richard and Mary Prescott Bush (n.p. : n.pub., 1987) p. 64 (naming German Walker as her father) (attributing some information to Mrs. Bobby [John P.] Harkins). This typewritten, photocopied work was produced by Carolyn L. Bush Laird. A copy is in the Genealogy Collection, Texas State Library, Austin, Tex. [S64] Carolyn L. Bush Laird, [etc. ], above p. 64 (naming Isa F. Williams as her mother) (attributing some information to Mrs. Bobby [John P.] Harkins). [S961] Find A Grave, online at http://www.findagrave.com, memorial for Sallie Matilda Walker, memorial no. 10358647, viewed on 4 Jan 2013 (giving the date but not the place). [S11] Index to Texas Death Records (Austin, Tex. : Tex. Dept. of Health, Bur. of Vital Statistics), typescript, 1903-40, vol. 54, p. 26536, file 27144 (giving her name as Sallie A. Walker and giving the date and county but not naming the town). [S300] Norma Walker Anderson, et al., A Genealogical Record for the Descendants of Lt. Isaac Walker and Elizabeth Stuart, above, p. 157 (giving only the date and state). [S961] Find A Grave, online, above, memorial for Sallie Matilda Walker, memorial no. 10358647, viewed on 4 Jan 2013. [S64] Carolyn L. Bush Laird, [etc. ], above p. 64 (attributing some information to Mrs. Bobby [John P.] Harkins). Ethelbert Walker, courtesy of Jayn Pollan Dickson. Other Names*: Ethelbert Barkston Walker, Bert Walker. Note*: He was a partner with his brother-in-law, Dave Loop, in the Loop & Walker store in Rice. [S64] Carolyn L. Bush Laird, The Bush Family As Descended from Richard and Mary Prescott Bush (n.p. : n.pub., 1987) p. 64 (giving his name as Ethelbert Barkston Walker) (naming German Walker as his father) (attributing some information to Mrs. Bobby [John P.] Harkins, Jackson, Miss.). This typewritten, photocopied work was produced by Carolyn L. Bush Laird. A copy is in the Genealogy Collection, Texas State Library, Austin, Tex. [S64] Carolyn L. Bush Laird, [etc. ], above p. 64 (giving his name as Ethelbert Barkston Walker) (naming Isa F. Williams as his mother) (attributing some information to Mrs. Bobby [John P.] Harkins, 4114 North State S., Jackson, Miss.). [S277] Ellis County, Texas, Cemetery Records, vol. 9 (Waxahachie, Tex. : Ellis County Gen. Soc'y, 1986), p. 100 (giving only the date). [S300] Norma Walker Anderson, et al., A Genealogical Record for the Descendants of Lt. Isaac Walker and Elizabeth Stuart, above, p. 157 (not giving the date). [S11] Index to Texas Death Records (Austin, Tex. : Tex. Dept. of Health, Bur. of Vital Statistics), typescript, 1946-55, vol. 22, p. 10795, file 83739 (giving the date and naming the county but not the town). [S277] Ellis County, Texas, Cemetery Records, vol. 9, above, p. 100. [S961] Find A Grave, online at http://www.findagrave.com, memorial for Ethelbert Walker, memorial no. 82489124. [S18] Rice Rustler, Rice, Tex., 23 Sep 1904. [S300] Norma Walker Anderson, et al., A Genealogical Record for the Descendants of Lt. Isaac Walker and Elizabeth Stuart, above, p. 157 (naming Ethelbert Barksdale Walker as her father). Mabel Chapman Walker, courtesy of Sherry Burdine Richards. Marriage*: She married Hugh Robinson Stewart on 14 February 1951. Other Names*: Mabel Chapman Walker, Mabel Walker, Mabel Chapman Walker Stewart, Mabel Walker Stewart, Mabel Chapman Stewart, Mabel Stewart. [S300] Norma Walker Anderson, Sarah Junell Walker Mullinnix, and Bobbye Roberts Harkins, comps., A Genealogical Record for the Descendants of Lt. Isaac Walker and Elizabeth Stuart (n.p. : n.pub., 1995), p. 157 (not giving the date). [S11] Index to Texas Death Records (Austin, Tex. : Tex. Dept. of Health, Bur. of Vital Statistics), typescript, 1983 (microfiche), p. 1838, file 113669-83. [S312] Social Security Death Index, online at http://tinyurl.com/AncestrySSDI, viewed on 3 Mar 1998 (stating that she died in Dec 1983; not naming the place of death but stating that she lived in Corsicana, Texas when she died). [S961] Find A Grave, online at http://www.findagrave.com, memorial for Mabel Chapman Walker, memorial no. 82489185. [S289] Maxie Ruth Hodgepath Brake, Lawrence County, Mississippi Marriages 1818-1879 (Shreveport, La. : Norman E. Gillis, 1970), p. 53 (citing Records of Circuit Clerk, Lawrence Co., Miss., vol. 2, p. 159). [S977] Marie Luter Upton, Marriage Records, Lawrence County, Mississippi 1818-1838 (n.p. : n.pub., 1970), p. 37 (citing Marriage Record Book 2, Lawrence Co., Miss., p. 159). [S64] Carolyn L. Bush Laird, The Bush Family As Descended from Richard and Mary Prescott Bush (n.p. : n.pub., 1987) p. 62 (stating that they married after his first wife, Charity Berry, died without naming the place). This typewritten, photocopied work was produced by Carolyn L. Bush Laird. A copy is in the Genealogy Collection, Texas State Library, Austin, Tex. [S300] Norma Walker Anderson, Sarah Junell Walker Mullinnix, and Bobbye Roberts Harkins, comps., A Genealogical Record for the Descendants of Lt. Isaac Walker and Elizabeth Stuart (n.p. : n.pub., 1995), p. 106 (naming Martha Brinson as his mother). [S64] Carolyn L. Bush Laird, The Bush Family As Descended from Richard and Mary Prescott Bush (n.p. : n.pub., 1987) p. 63 (naming Willis Walker as her father) (attributing some information to Mrs. Bobby [John P.] Harkins, 4114 North State S., Jackson, Miss.). This typewritten, photocopied work was produced by Carolyn L. Bush Laird. A copy is in the Genealogy Collection, Texas State Library, Austin, Tex. [S64] Carolyn L. Bush Laird, [etc. ], above p. 63 (naming Charity Berry as her mother) (attributing some information to Mrs. Bobby [John P.] Harkins, 4114 North State S., Jackson, Miss.). [S64] Carolyn L. Bush Laird, [etc. ], above p. 63 (attributing some information to Mrs. Bobby [John P.] Harkins, 4114 North State S., Jackson, Miss.). [S300] Norma Walker Anderson, Sarah Junell Walker Mullinnix, and Bobbye Roberts Harkins, comps., A Genealogical Record for the Descendants of Lt. Isaac Walker and Elizabeth Stuart (n.p. : n.pub., 1995), p. 107 (naming Stephen Dampier as his father). [S300] Norma Walker Anderson, et al., A Genealogical Record for the Descendants of Lt. Isaac Walker and Elizabeth Stuart, above, p. 107 (naming Ann Graham Dampier as his mother). [S64] Carolyn L. Bush Laird, The Bush Family As Descended from Richard and Mary Prescott Bush (n.p. : n.pub., 1987) p. 63 (attributing some information to Mrs. Bobby [John P.] Harkins, 4114 North State S., Jackson, Miss.). This typewritten, photocopied work was produced by Carolyn L. Bush Laird. A copy is in the Genealogy Collection, Texas State Library, Austin, Tex. [S300] Norma Walker Anderson, et al., A Genealogical Record for the Descendants of Lt. Isaac Walker and Elizabeth Stuart, above, p. 107 (naming James Monroe Dampier as his father). [S300] Norma Walker Anderson, et al., A Genealogical Record for the Descendants of Lt. Isaac Walker and Elizabeth Stuart, above, p. 107 (naming James Monroe Dampier as her father). [S64] Carolyn L. Bush Laird, The Bush Family As Descended from Richard and Mary Prescott Bush (n.p. : n.pub., 1987) p. 63 (naming Willis Walker as his father) (attributing some information to Mrs. Bobby [John P.] Harkins, 4114 North State S., Jackson, Miss.). This typewritten, photocopied work was produced by Carolyn L. Bush Laird. A copy is in the Genealogy Collection, Texas State Library, Austin, Tex. [S64] Carolyn L. Bush Laird, [etc. ], above p. 63 (naming Charity Berry as his mother) (attributing some information to Mrs. Bobby [John P.] Harkins, 4114 North State S., Jackson, Miss.). [S300] Norma Walker Anderson, et al., A Genealogical Record for the Descendants of Lt. Isaac Walker and Elizabeth Stuart, above, p. 109 (giving his name as Howard Walker). [S64] Carolyn L. Bush Laird, [etc. ], above p. 63 (not giving the date) ((giving his name as Howard Walker and attributing some information to Mrs. Bobby [John P.] Harkins, 4114 North State S., Jackson, Miss.). [S524] Bill Scarborough, electronic mail to Roger Bartlett, 25 Nov 1999, (not giving the date). [S978] John Paul Smith, Records of Lawrence County, Mississippi, Volume I (Jackson, Miss. : n.pub. 1984), p. 284 (citing Estate of Stephen H. Walker, case no. 4, box 18-19). [S300] Norma Walker Anderson, et al., A Genealogical Record for the Descendants of Lt. Isaac Walker and Elizabeth Stuart, above, p. 109 (naming Howard Walker as her father). [S300] Norma Walker Anderson, et al., A Genealogical Record for the Descendants of Lt. Isaac Walker and Elizabeth Stuart, above, p. 109 (naming Howard Walker as his father). [S64] Carolyn L. Bush Laird, The Bush Family As Descended from Richard and Mary Prescott Bush (n.p. : n.pub., 1987) p. 63 (not giving the date) ((giving his name as Howard Walker and attributing some information to Mrs. Bobby [John P.] Harkins, 4114 North State S., Jackson, Miss.). This typewritten, photocopied work was produced by Carolyn L. Bush Laird. A copy is in the Genealogy Collection, Texas State Library, Austin, Tex. [S214] Betty Couch Wiltshire, comp., Marriages and Deaths from Mississippi Newspapers, vol. 3: 1813-1850 (Bowie, Md. : Heritage Books, Inc., 1989), p. 79 (citing to The Southron, Jackson, Miss., 5 Nov 1845) (naming Willis Walker as her father). [S64] Carolyn L. Bush Laird, [etc. ], above p. 63 (not giving the date or place) (attributing some information to Mrs. Bobby [John P.] Harkins, 4114 North State S., Jackson, Miss.). [S214] Betty Couch Wiltshire, comp., Marriages and Deaths from Mississippi Newspapers, vol. 3: 1813-1850, above, p. 79 (citing to The Southron, Jackson, Miss., 5 Nov 1845). [S300] Norma Walker Anderson, et al., A Genealogical Record for the Descendants of Lt. Isaac Walker and Elizabeth Stuart, above, p. 115 (not giving the date or place). [S64] Carolyn L. Bush Laird, [etc. ], above p. 63 (naming Matilda ("Fannie") Walker as her mother) (attributing some information to Mrs. Bobby [John P.] Harkins, 4114 North State S., Jackson, Miss.). [S300] Norma Walker Anderson, et al., A Genealogical Record for the Descendants of Lt. Isaac Walker and Elizabeth Stuart, above, p. 115 (naming Matilda Walker as her mother). [S64] Carolyn L. Bush Laird, [etc. ], above p. 63 (naming Matilda ("Fannie") Walker as his mother) (attributing some information to Mrs. Bobby [John P.] Harkins, 4114 North State S., Jackson, Miss.). [S300] Norma Walker Anderson, et al., A Genealogical Record for the Descendants of Lt. Isaac Walker and Elizabeth Stuart, above, p. 115 (naming Matilda Walker as his mother). [S64] Carolyn L. Bush Laird, The Bush Family As Descended from Richard and Mary Prescott Bush (n.p. : n.pub., 1987) p. 63 (not giving the date or place) (attributing some information to Mrs. Bobby [John P.] Harkins, 4114 North State S., Jackson, Miss.). This typewritten, photocopied work was produced by Carolyn L. Bush Laird. A copy is in the Genealogy Collection, Texas State Library, Austin, Tex. [S214] Betty Couch Wiltshire, comp., Marriages and Deaths from Mississippi Newspapers, vol. 3: 1813-1850 (Bowie, Md. : Heritage Books, Inc., 1989), p. 79 (citing to The Southron, Jackson, Miss., 5 Nov 1845). [S300] Norma Walker Anderson, Sarah Junell Walker Mullinnix, and Bobbye Roberts Harkins, comps., A Genealogical Record for the Descendants of Lt. Isaac Walker and Elizabeth Stuart (n.p. : n.pub., 1995), p. 115 (not giving the date or place). [S64] Carolyn L. Bush Laird, [etc. ], above p. 63 (naming Col. G. W. Williams as her father) (attributing some information to Mrs. Bobby [John P.] Harkins, 4114 North State S., Jackson, Miss.). [S300] Norma Walker Anderson, et al., A Genealogical Record for the Descendants of Lt. Isaac Walker and Elizabeth Stuart, above, p. 115 (naming Col. G. Wl Williams as her father). [S64] Carolyn L. Bush Laird, [etc. ], above p. 63 (naming Col. G. W. Williams as his father) (attributing some information to Mrs. Bobby [John P.] Harkins, 4114 North State S., Jackson, Miss.). [S300] Norma Walker Anderson, et al., A Genealogical Record for the Descendants of Lt. Isaac Walker and Elizabeth Stuart, above, p. 115 (naming Col. G. Wl Williams as his father). [S300] Norma Walker Anderson, Sarah Junell Walker Mullinnix, and Bobbye Roberts Harkins, comps., A Genealogical Record for the Descendants of Lt. Isaac Walker and Elizabeth Stuart (n.p. : n.pub., 1995), p. 106 (giving his name as Little Berry Walker and naming Willis Walker as his father). [S524] Bill Scarborough, electronic mail to Roger Bartlett, 25 Nov 1999, (giving his name as Littleberry Walker and naming Willis Walker as his father). [S300] Norma Walker Anderson, et al., A Genealogical Record for the Descendants of Lt. Isaac Walker and Elizabeth Stuart, above, p. 106 (giving his name as Little Berry Walker and naming Charity Berry as his mother). [S524] Bill Scarborough, electronic mail to Roger Bartlett, 25 Nov 1999, (giving his name as Littleberry Walker and naming Charity Berry as his mother). [S565] Walker Cemetery No. 3, online http://www.home.earthlink.net/~rooo22/walker3.htm, viewed on 8 Apr 2000 (giving only the date and giving his name as Little Berry Walker). [S793] William Scarborough, electronic mail to e-mail address, 16 Dec 2002, (giving his name as Little Berry Walker and stating that he was born near Mt. Zion on 23 Feb 1823). [S300] Norma Walker Anderson, et al., A Genealogical Record for the Descendants of Lt. Isaac Walker and Elizabeth Stuart, above, p. 112 (stating that he was born on 23 Feb 1823 in Mississippi). [S289] Maxie Ruth Hodgepath Brake, Lawrence County, Mississippi Marriages 1818-1879 (Shreveport, La. : Norman E. Gillis, 1970), p. 53 (citing Records of Circuit Clerk, Lawrence Co., Miss., vol. 2, p. 485). [S300] Norma Walker Anderson, et al., A Genealogical Record for the Descendants of Lt. Isaac Walker and Elizabeth Stuart, above, p. 112 (giving only the date). [S300] Norma Walker Anderson, et al., A Genealogical Record for the Descendants of Lt. Isaac Walker and Elizabeth Stuart, above, p. 112. [S793] William Scarborough, electronic mail to e-mail address, 16 Dec 2002, (giving his name as Little Berry Walker and giving the date but not naming the place). [S300] Norma Walker Anderson, et al., A Genealogical Record for the Descendants of Lt. Isaac Walker and Elizabeth Stuart, above, p. 112 (stating that he had eight children and was known as Little Berry Walker). [S793] William Scarborough, electronic mail to e-mail address, 16 Dec 2002, (giving his name as Little Berry Walker). [S300] Norma Walker Anderson, et al., A Genealogical Record for the Descendants of Lt. Isaac Walker and Elizabeth Stuart, above, p. 112 (naming Little Berry Walker as her father). [S300] Norma Walker Anderson, et al., A Genealogical Record for the Descendants of Lt. Isaac Walker and Elizabeth Stuart, above, p. 112 (naming Little Berry Walker as his father). [S64] Carolyn L. Bush Laird, [etc. ], above p. 63 (naming Berry Walker as her father) (attributing some information to Mrs. Bobby [John P.] Harkins, 4114 North State S., Jackson, Miss.). [S300] Norma Walker Anderson, Sarah Junell Walker Mullinnix, and Bobbye Roberts Harkins, comps., A Genealogical Record for the Descendants of Lt. Isaac Walker and Elizabeth Stuart (n.p. : n.pub., 1995), p. 112. [S565] Walker Cemetery No. 3, online http://www.home.earthlink.net/~rooo22/walker3.htm, viewed on 8 Apr 2000 (giving her name as Louvinia Walker and identifying her as wife of L.B. Walker). [S793] William Scarborough, electronic mail to e-mail address, 16 Dec 2002, (giving her name as Louvinia Slater). [S64] Carolyn L. Bush Laird, [etc. ], above p. 63 (naming Lavina Slater as her mother) (attributing some information to Mrs. Bobby [John P.] Harkins, 4114 North State S., Jackson, Miss.). [S961] Find A Grave, online at http://www.findagrave.com, memorial for (Richmond Walker, memorial no. 40835257) (naming Willis Walker as his father). [S961] Find A Grave, online, above, memorial for (Richmond Walker, memorial no. 40835257) (naming Charity Berry as his mother). [S961] Find A Grave, online, above, memorial for (Richmond Walker, memorial no. 40835257). [S289] Maxie Ruth Hodgepath Brake, Lawrence County, Mississippi Marriages 1818-1879 (Shreveport, La. : Norman E. Gillis, 1970), p. 53 (citing Records of Circuit Clerk, Lawrence Co., Miss., vol. 3, p. 45). [S300] Norma Walker Anderson, et al., A Genealogical Record for the Descendants of Lt. Isaac Walker and Elizabeth Stuart, above, p. 116 (giving only the date). [S524] Bill Scarborough, electronic mail to Roger Bartlett, 25 Nov 1999, (not giving the date or place). [S300] Norma Walker Anderson, et al., A Genealogical Record for the Descendants of Lt. Isaac Walker and Elizabeth Stuart, above, p. 116 (naming Richmond Walker as her father). [S64] Carolyn L. Bush Laird, [etc. ], above p. 64 (naming Richmond Walker as her father) (attributing some information to Mrs. Bobby [John P.] Harkins, 4114 North State S., Jackson, Miss.). [S300] Norma Walker Anderson, et al., A Genealogical Record for the Descendants of Lt. Isaac Walker and Elizabeth Stuart, above, p. 116 (giving her name as Amanda Walker and naming Richmond Walker as her father). [S300] Norma Walker Anderson, et al., A Genealogical Record for the Descendants of Lt. Isaac Walker and Elizabeth Stuart, above, p. 116 (naming Richmond Walker as his father). [S961] Find A Grave, online at http://www.findagrave.com, memorial for Sarah Griffith Walker, memorial no. 40835338). [S300] Norma Walker Anderson, Sarah Junell Walker Mullinnix, and Bobbye Roberts Harkins, comps., A Genealogical Record for the Descendants of Lt. Isaac Walker and Elizabeth Stuart (n.p. : n.pub., 1995), p. 116 (giving only the date). [S420] Rick Kelly, electronic mail to Roger Bartlett, 4 Jul 1998 (giving the date but not the place). [S64] Carolyn L. Bush Laird, [etc. ], above p. 64 (naming Sarah Griffith as her mother) (attributing some information to Mrs. Bobby [John P.] Harkins, 4114 North State S., Jackson, Miss. ).